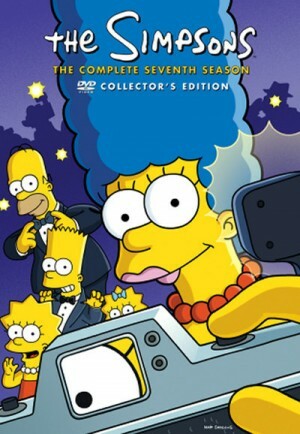 Welcome to this deluxe edition of The Simpsons Season 7 DVD! By now, you all know the drill: This here Simpsons grand-slam combo platter is the best blah blah blah yet, full of bonus blah blah blah, including essential, nutritious blah blah blah and even a few secret blah blah blahs! All this on four jam-packed discs of viewing pleasure that you can never get back. Raging Abe Simpsons and his Grumbling Grandson in "The Curse of the Flying Hellfish"